The latest Presiden Magento Theme from Plazathemes has been released. 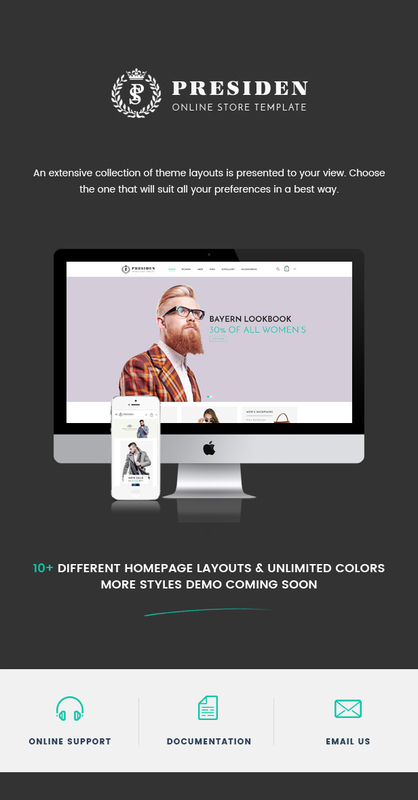 This theme has 10 homepage layout options with many stores: fashion, bag, shoes, glasses, kid, digital, furniture, cosmetics. Layout is simple but elegant with art font, white background, black text, smooth transition of Slideshow, neat header and full information about your store in Footer. Tabs Category Slider is the highlight in this them. Description is under title of module, categories are displayed beautifully in each tab with slider. Products Slider modules bring new, bestseller, most viewed, featured products in horizontal and vertical direction. 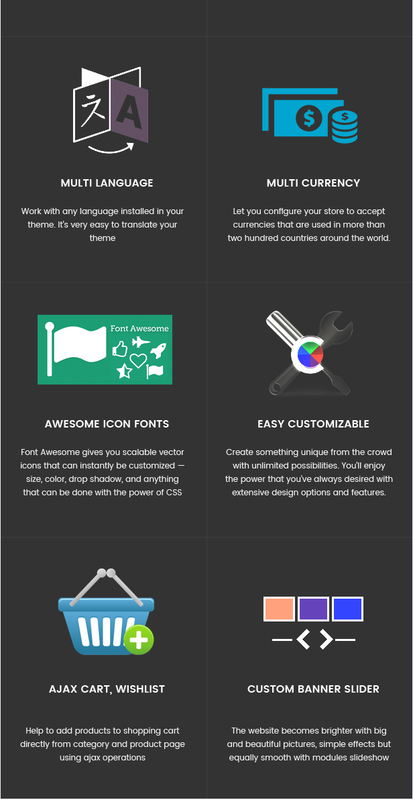 Advertise your brands, favorite brands or related brands with logo in Brand Logo Slider. Blog, Testimonials & Instagram Gallery promote your products, promotion programs, latest products via posts, nice pictures and interact with your customers to give feedbacks, comments. Google Rich Snippets is integrated in details page which support better for SEO. Other modules such as Layered Navigation, Related Slider, Upsell Slider also help increase your sales. 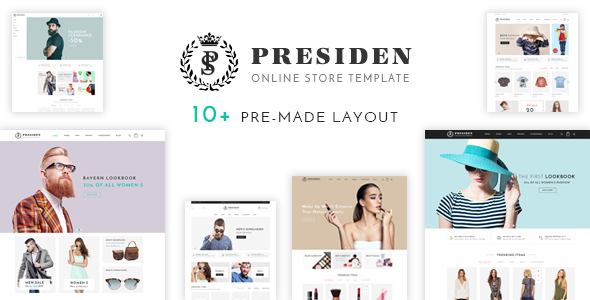 Presiden Multistore Magento Theme is the fully responsive theme and suitable for you!